"Oldsmobile" - a brand of cars, most of its existence, the corporation owned by General Motors. Ransom Eli Olds was founded in 1897 and existed until 2004. During its 107-year history, the company produced 35.2 million vehicles, of which about 14 million at its plant in Lansing. Prior to the abolition of one of the oldest automobile brands. Cars "Oldsmobile" was first produced at the plant «Olds Motor Works» in Lansing, Michigan, founded by Ransom Olds in 1897. In 1901, the company issued 425 cars, becoming the first manufacturer of gasoline vehicles of a large volume. On «Olds Motor Works» for several years in the lead in the number of cars sold in the United States. In a time of financial difficulties Ransom Olds left the company and founded another company, REO Motor Car Company. Recent Olds automobiles were produced in 1907, after which the company was bought by General Motors Corporation in 1908. In the period from 1901 to 1904 model years Curved Dash was the first mass produced car, assembled on the first automated assembly line, the invention which is wrongly attributed to Henry Ford. After Olds sold his company in 1899, it changed its name to the Olds Motor Works, and the plant moved to Detroit. By March 1901 the company had a whole range of ready-to-manufacture, but due to the negligence was a fire at the factory worker as a result of which the factory was completely destroyed, it is killed and all ready prototypes. The only surviving car became a prototype of Curved Dash, which has been taken by two factory workers after the fire. new plant, which began production Curved Dash was built. Officially the cars were called «Olds automobiles», but were called «Oldsmobiles» colloquially. This nickname is mainly attributable to the Curved Dash model and gained fame through the popular 1905 song «In My Merry Oldsmobile». Model 1910 Limited Touring was the top-end for the company. Which had 42-inch wheels with the "factory" of white rubber, Limited is the most prestigious model of the Oldsmobile line. Limited sold for $ 4,600, which corresponded to the cost of a large house with three bedrooms. For the money the buyer gets a salon decorated goatskin leather, 60-strong row "Six" volume 11,58l, Bosch Magneto starter, running boards and five-seat interior. As an option, you can also order a speedometer, clock and whole windshield. Limousine version cost $ 5,800. During the three years it has been sold only about 725 vehicles Limited, but most of all remember this model that won the race at the famous train at the time «20th Century Limited». In the period from 30th to 40th years used two digits to designate Oldsmobile Car titles. Initially it was assumed that the first digit will indicate the size of the body, and the second - the number of cylinders. Bodies were presented of 6, 7, 8 and 9 and the motors - 6- and 8-cylinder. Thus, cars Oldsmobile could be named with Oldsmobile Oldsmobile 66 to 98. In 1937 Oldsmobile became the first company to introduce a four-semi-automatic gearbox, which had the name of the Automatic Safety Transmission despite the fact that this mechanism was actually manufactured by Buick (who introduced it only in 1938). Cars with such transmissions have the usual clutch pedal which the driver pressed before selecting the position of Low or High. In the Low position, worked 1st and 2nd transmission in position High - 1st, 3rd and 4th transfers. In 1940 Oldsmobile became the first manufacturer to offer a fully automatic transmission «Hydramatic», which had a 4-speed. The last pre-war left Oldsmobile conveyor February 5, 1942-year. During World War II Oldsmobile production was transferred to the military, and the plant going large-caliber guns and ammunition for them. Car production resumed on 15 October 1945 with an upgraded model of 1942, which was produced until 1946. Oldsmobile pioneered in 1949, when he presented his first V8 engine, called «Rocket». The layout of the engine is significantly different from the existing, as prevailed row "eight" at the time. The engine gave out much more power than his contemporaries, and so was incredibly popular with hot-Rodder and riders. The design of this engine, with slight modifications, persisted until the mid-60s, when there is a new V8 from Oldsmobile. 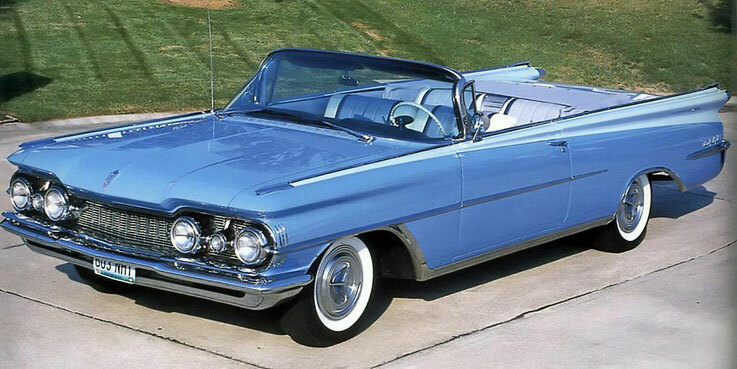 Oldsmobile entered the 50s marked engines «Rocket» and machines on which it was installed. «Rocket V8» has been a leader in power and the cars equipped with them were considered the fastest. Throughout the fifties cars Oldsmobile produced stylistically appropriate topic «Rocket», had a large grille and twin taillights, its shape is also obliged style «Rocket». Oldsmobile was the first of General Motors released a hardtop in 1949, and Oldsmobile - one of the first GM divisions along with Buick and the Cadillac, which began to produce vehicles with panoramic windscreen, which has become a common feature for all American cars, produced from 1953 to 1964 . In the 1950s a number of nomenclature model Oldsmobile car names changed. For a two-digit code began to add words for body type. So, Oldsmobile 88 was the name Oldsmobile Dynamic 88 Oldsmobile Super 88 and for basic and luxury versions, respectively. The hardtop names appeared the word «Holiday», wagons labeled as «Fiesta». When in 1999 closed 88 production model, it was the second for the duration of using the name of the car after the Chrysler New Yorker. GM Design has lost the status of a "trendsetter" in 1957, when Chrysler introduced the design of «Forward Look» authored by Virgil Exner. The main problem for the Oldsmobile and Buick has become GM design error called «Strato Roof». And the Oldsmobile, and Buick produced models had the rear-view window frame, but the model with large curved rear lights produced all the following decade. Consumers criticize the roof lights and failed, forcing GM to change the design of some models manufactured concern. The only disappointing year in the 50's to become Oldsmobile 1958. The country is beginning to feel the economic downturn after the war, and car sales began to fall. Oldsmobile, Buick and Cadillac received from GM heavily updated brand styles. Oldsmobile planned to release a slightly reworked in terms of design cars that have features in common with their predecessors, but instead there was a huge, over-decorated car chrome accents. In addition, all cars Oldsmobile 1958 got deeply redesigned front end, which includes four headlamps. 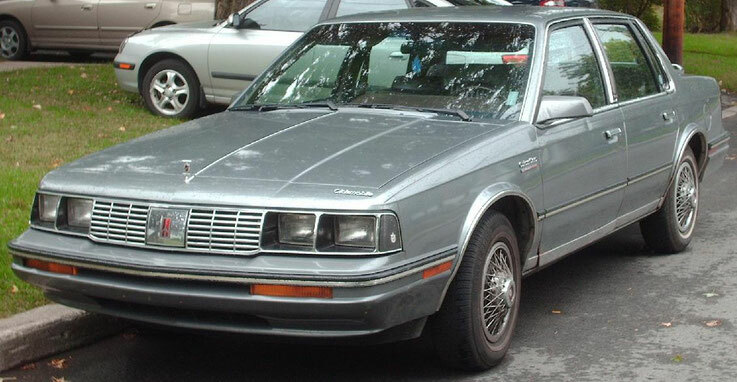 On the sides were chrome strips, starting from the edge of the headlights, two strips on conventional 88-s, and 3 strips on Super 88 (the thin top and bottom and wide in the middle), who ended up a point in the middle of a body of 98-s. The bottom of the rear bumper has a wide punching in a semicircle. The taillights were framed by massive chrome accents. Designer Sales of Ford Tremulis Alex (Alex Tremulis, author Tucker Sedan 1948 design) ridiculed Oldsmobile in 1958 in four horizontal strips on the rear bumper by drawing a cartoon with music notes on these strips. Another Detroit designer who worked for Ford, you bought a used Oldsmobile, 1958, in the early 60's, moved the letters above the grille so that instead of «OLDSMOBILE» happened «SLOBMODEL» ( «untidy model") and as such traveled every day work to remind myself and my colleagues, which means "bad" car design in their business. In the 60's Oldsmobile position in the GM hierarchy (between Pontiac and Buick) has improved. Significant achievements include the first turbocharged engine in 1962 ( «Turbo Jetfire»), the first modern front-wheel drive car produced in the United States (Oldsmobile Toronado 1966), notable for its panoramic roof wagon Vista Cruiser - all this has allowed the company to increase its authority. During 70-80 Oldsmobile sales grew strongly enough (the absolute maximum, recorded in 1985 - 1,066,122 cars) due to the fashion of modern design, positive reviews in the press and the high quality and reliability of the engine «Rocket V8». In 1976, the car Oldsmobile Cutlass was the best-selling car in North America. By this time, Oldsmobile shifted from the third position of the best-selling brands Pontiac and Plymouth and firmly took this position after Chevrolet and Ford. In the early 80's sales reached 1 million, which previously could be achieved only Chevrolet and Ford. The growing popularity of car Oldsmobile caused serious problems in the late '70s. 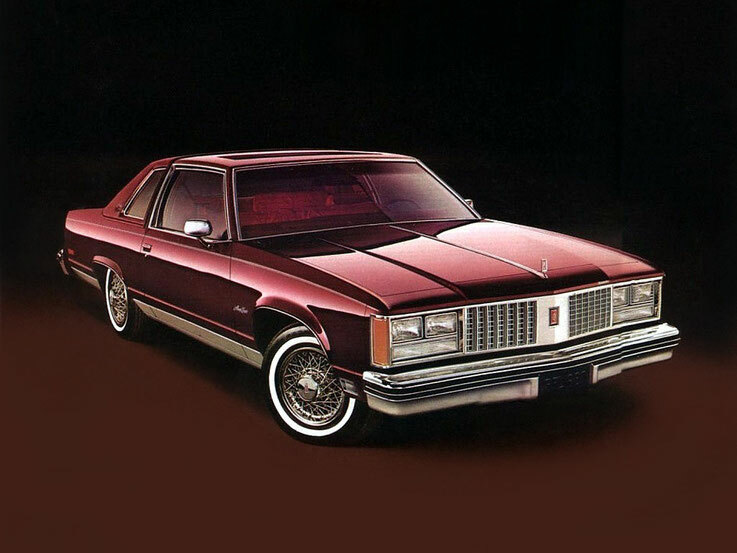 By the time all of GM manufactures its own V8 engines, and in 1977, Oldsmobile, Chevrolet, Pontiac and Buick developed a unique 5.7-liter engines to replace the V8. During the 1977 Oldsmobile V8 production could not fully meet the demand, and therefore the majority of Oldsmobile Delta 88 were equipped with 5.7-liter engines Chevrolet. Widely discussed whether big difference in the quality and performance of the two engines, but one thing was known for sure - the two engines were very different in design. Many loyal to Oldsmobile shoppers were focused on buying a car is the engine «Rocket V8», but found that their machines have completely different engines only when it turned out that the parts purchased are not suitable for Chevrolet engines. The scandal has become a nightmare for GM. After the scandal in all the brochures stated that «Oldsmobile cars equipped with engines produced by various divisions GM», and all of GM followed suit and also posted this information in their brochures and pamphlets. In addition, the GM management decided to stop associating engines with specific manufacturers, and to date all GM engines made the company «GM Powertrain» (GMPT). After the staggering success of the early 80's Oldsmobile situation has changed dramatically, and by 1990, the brand has lost its position in the market, back in the niche between Pontiac and Buick. Instead own cars Oldsmobile began to produce models of other units rebrended GM, and the right to engage in their own development shifted to Chevrolet and Pontiac. GM continued to use Oldsmobile from time to time to showcase new designs and futuristic as "guinea pigs" for testing new technologies, which resulted in the appearance of Oldsmobile Toronado, which was equipped with on-board computer with the calendar, diary, and climate control. In 1995, Oldsmobile introduced the model Aurora, which was to show the direction of the company in the mid-90s. Presentation of this model was the reason for GM to make Oldsmobile major concern importer. In connection with this change Oldsmobile logo for a corresponding trademark "rocket" theme. Gradually, almost all Oldsmobile models were discontinued. All of them have been replaced by more modern models, inspired by the Aurora. Despite the successes Oldsmobile in the mid-90s, decrease in demand for cars of General Motors gave occasion to declare in 2000 on the gradual abolition of the Oldsmobile brand. 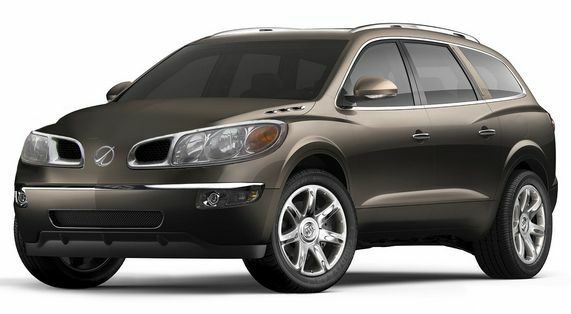 The announcement came two days after the Oldsmobile introduced its latest model - SUV Bravada, which ironically became a hit unit sales. Recently released 500 models of cars Alero, Aurora, Bravada, Silhoette Intrigue and received special nameplates on which was written «Final 500". All 500 cars were painted in a special color - Dark Cherry Metallic. "Aurora" and "intrigue" is also completed with a special brochure "of Final 500". 29 April 2004 - the last day of production Oldsmobile brand. The last machine released a 4-door sedan Alero GLS, which was signed by all the staff of the assembly line.